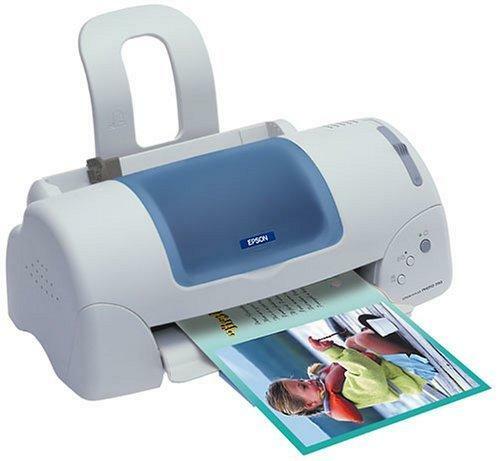 For those Users who are engaged in amateur photography or are planning to master printing photos at home, as well as for experienced photo professionals, Epson, the world famous printing equipment Manufacturer, offers its Stylus Photo 780 photo printer with CISS, which is notable for its easy operation and low price. This device can perfectly cope with printing photos, as well as various kinds of advertising and publishing stuff. You will be able to take photos of nature, dear people and a lot of other things. Your pictures will be bright and colorful. They will not loose their initial look for a long time. When you buy a professional photo printer, please, take care of consumable materials. This is exactly the factor on which your printing cost will depend. Therefore, we recommend you to purchase the Epson 780 printer with CISS. The Continuous ink supply system will reduce your printing expenses, but it will in no way affect the quality of your photos. In case you have bought the printer without CISS, we advise you to equip your machine with it. It will make your work comfortable and effective. How? With the CIS system you will no more need to buy expensive cartridges. One cartridge will be enough for the whole operating life of your printer. You will have only to buy inks, which are much cheaper than cartridges, and add them to appropriate ink tanks. It is possible to refill inks even without stopping your printer, it will not affect your prints quality. The ink does neither blur nor smear. The Epson 780 printer with CISS means efficient and high quality printing! This is that very combination which is needed by present-day User, who appreciates profit without quality loss. You can purchase the printer with CISS right now on our on-line shopping site. If you have any questions as to buying the photo printer or about its technical characteristics, please, contact our managers to get any information. Besides, our experienced professionals will advise you on the device maintenance and its trouble-free operating. On our web-site we offer as well a great variety of other photo printers. Please, pay your special attention to our printing devices Epson Stylus Photo r2880 and Epson Stylus s22, whose characteristics and functions are similar to those, of the MFD we described above. This multifunction inkjet printer with CISS completely meets the requirements of professional photo printing as to the quality of its prints. Therewith, the prime cost of such prints will be considerably lower, than that of the photos printed with the help of original cartridges. Please, make your orders on our shopping site! If you wish your printing process get easier and your printed products look better, buy our printers with CISSs! Our continuous ink supply systems will surely save both your time and money.